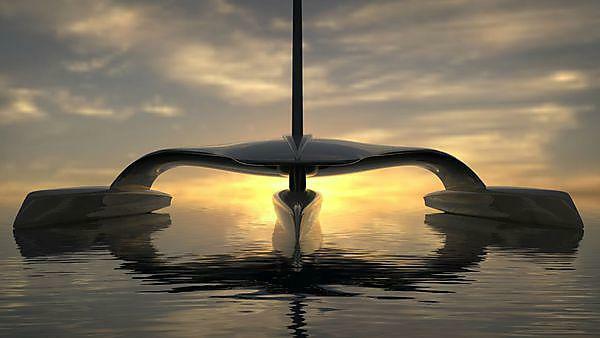 The Mayflower Autonomous Ship (MAS) is a pioneering project to design, build and sail the world’s first full-sized, fully autonomous unmanned vessel across the Atlantic Ocean. Powered by state-of-the-art renewable energy technology, and host to a fleet of drones through which it will conduct research experiments during the crossing, the 33-metre trimaran is being developed by a partnership of the University of Plymouth, autonomous craft specialists MSubs, and public charity Promare which promotes marine research and exploration throughout the world. The design of the vessel is being carried out by award-winning yacht designers Shuttleworth Design. MAS is expected to take two-and-a-half years to build, and following a year’s testing, would sail in 2020 to mark the 400th anniversary of the original Mayflower crossings from Plymouth to North America. In order to reach that point, however, many technological, regulatory and financial milestones must be achieved. The project is being overseen by the not-for-profit company, Mayflower Autonomous Ship Ltd, which has been set up by the partners with the sole purpose of designing, building and launching the vessel. As part of that work, a Crowdfunder appeal has been launched to raise initial funding for the production of a scale model, which will be tested in the ocean basin wave tank of the University’s COAST Laboratory. It is hoped that the MAS project will create a number of research and educational opportunities, not just for students at the University, but also schools both in the UK and in the different cities of Plymouth around the world. It will offer people the chance to engage in citizen science, and be a part of a genuinely future-defining, life-changing project. Scott, Darwin, Cook, Shackleton, the Mayflower…MAS? 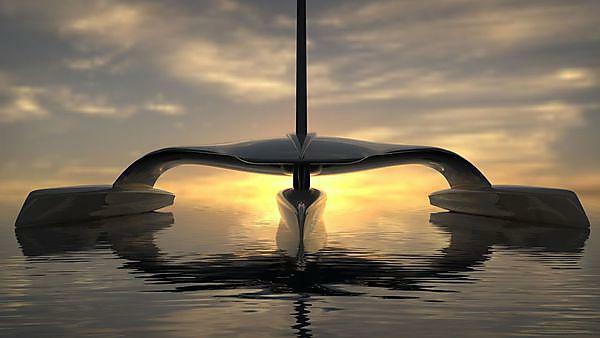 The Mayflower Autonomous Ship project is seeking to honour the past by changing the future. This unique achievement will position the University and Plymouth as major contributors to marine research and shipping innovation on a global platform. It will help to create an industry shift, providing the maritime industry with an evidence base upon which to build, develop, and drive policy change. This innovative vessel stands to grow the local economy as it advances marine technology and offers commercial opportunities: where possible, it will be built and developed in Plymouth and the South West. As a vessel that can be deployed in waters that would be considered too problematic for manned ships and human activity, this project will arouse the interest of the global research community. It offers an opportunity to link with counterpart institutions in the US and open up networks for future collaboration, so creating potential mentoring and internship opportunities for University of Plymouth students with sponsors and partners. In addition, schoolchildren in the UK and US will track the voyage and learn about the ocean as the ship beams back pictures and video throughout the journey. Plymouth is Britain’s Ocean City and synonymous with the historic Mayflower voyage. The 400th anniversary in 2020 provides this city with the ideal opportunity to embark on a 21st century voyage every bit as pioneering in spirit. Underpinning this endeavour is Plymouth’s marine sector which is home to an unrivalled collection of globally recognised research organisations. Chief among them is the University, with its Marine Institute and School of Marine Science and Engineering containing hundreds of scientists, specialist technicians and thousands of students. The Marine Institute boasts one of the broadest research portfolios of any institute in Europe, spanning marine and maritime policy, oceanography, hydrography, coastal science, marine biology, renewable engineering, and robotics. Housed in the Marine Building, the Coastal, Ocean And Sediment Transport laboratory (COAST), with its unique Ocean Wave Basin, provides a testing ground that is critical to the success of this project.